I can't say I would recommend my pre-race preparations for Silver Rush. They included spending a week in Minnesota at lower elevation, driving 16.5 hours in one shot back to CO on Friday, rushing into work for several hours on Saturday afternoon to repair a blown up UPS (which brought down three servers), and then driving to Leadville that night and sleeping in the back of my car. Given that buildup, I'm pleased with how the race turned out. Silver Rush was my first ultra last year and I grunted out a 9:13. I knew a sub-9 finish was probable with a solid effort this year, but crossing the line in 8:34 was a pleasant surprise. I just wish it came a little easier. The first half was about as good as I could have hoped. I ran a bit with Leila D. and then caught up with Carrie Stafford during the final pitch of the climb around Ball Mountain. I ran with Carrie at the Pb training camp a few weeks back and she's one tough runner (2nd female finisher). I ended up leap-frogging with her all the way to the finish. During the second half I was plagued with stomach cramps and nausea. It was quite unpleasant, but very good practice for working through it over the long haul. I'm convinced the culprit was the Perpetuem I started drinking at the turnaround. I got through two bottles of the stuff and had crazy cramps after each. It threw all my fueling out of whack. I tried to get back into a gel program, but had the hardest time getting them down. During the last ten miles, I'd run for about 2 minutes before coming to a complete stop to fend off the urge to puke. I'd burp once or twice and start running again until the next wave hit. This repeated over and over. My stomach woes took a hiatus during the final 1.5 miles and I caught up to a bunch of runners that I thought had left me in the dust. I probably ran the fastest of the day in that stretch and passed two of them, but ran out of time when two other guys finished 8 & 15 seconds before me. - Yeah, I won't be using Perpetuem during the LT100. But I still like the idea of having a liquid fuel option, so I'm going to go back to EFS mixed with water. - The Gu Brew they serve at the aid stations is quite tasty to me. Almost as tasty as plain water. - No GPS. I ran with just a stopwatch and my laminated card with splits on it. It worked perfectly and I didn't miss the GPS at all. - I confirmed that I don't like running with two handhelds. - I need to apply sunscreen more! A volunteer sprayed just a little on me at the turnaround, and now I'm sporting a nice burn. I felt my skin on fire during the second half of the race. You know the sun is bad when you find yourself running on the extreme edge of the road/trail just to pass through a tiny sliver of shade. - I'm not sure if I should have just puked to get rid of whatever was causing my nausea. I kept thinking if I did, I'd be losing calories and get dehydrated. I fought through it for hours and felt like it was the right decision. Congrats to Patrick for finishing in 7:44 and 4th place! 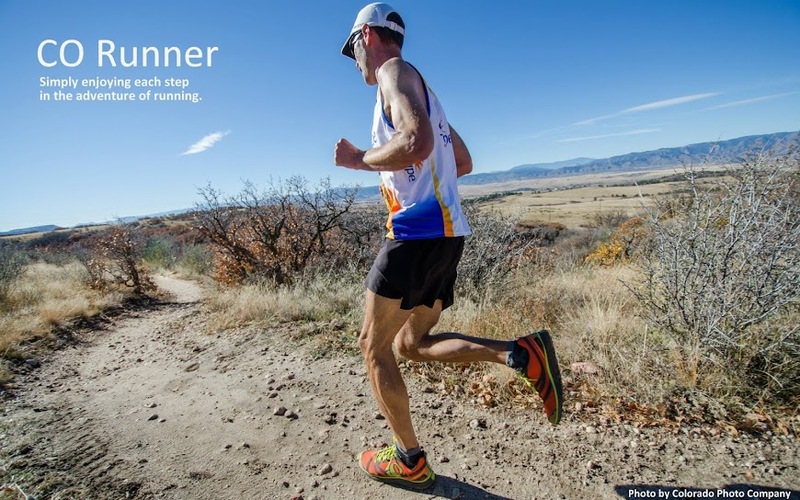 He ran Silver Rush as his first ultra in 2009 finishing then in 9:14. A 1.5 hour PR on that course is phenomenal! After running aimlessly for 15 miles through the woods on Sunday, I made my way over to the Ptarmigan Peak trail on Monday morning for an early run. Since most of the trail is west facing, I figured I'd have better success at avoiding the snow. Thankfully, I was right. I ran this for the first time last year and loved it. Twelve miles round-trip with views that rival any outside of SW Colorado. I was quite tired from some big mileage (for me) the previous week, so I just cruised without worrying whether I was running or hiking. Started at 5:00 a.m. and took this shot about 40 minutes into the run. The sun lighting up the Gore Range mountains. It was chilly and I was wishing some of that sun would light me up. You get a better view of the snow on Buffalo Mtn that I thought I could run through the day before. I don't take enough pictures of dead and rotting trees. They take notice that I'm coming. Looking back towards the lake and the Tenmile Range. And...they all gather to prepare for a mass exit. Sure makes me feel powerful that 40 huge elk would flee from my presence when they could easily trample me into a pancake if they wanted. On the summit, looking northwest-ish. The Ute Peak trail runs along that entire ridge for miles. My elk friends are trying to descend that snowfield. Not a good idea, so they turned around. Looking east at Grays and Torreys. The Ptarmigan Pass trail follows this ridge. Descending on some sweet, wildflower-lined singletrack. Flat and fast, but only for a mile or so. These claw marks were on just about every aspen tree along the trail. I figured they could only be from a bear. Today, I learned about them here. Came across this big guy just over a mile away from the trailhead. I enjoyed this run so much that I'm itching to go back and run from the Ptarmigan Peak TH all the way to Ute Peak and back (about 26 miles).